Set in a very quiet spot close to the coastal highway this compound is ideal for running as a holiday or residential complex. 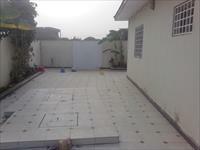 It Consists of lounge, kitchen 3 bedrooms, Master Bedroom en Suite and 1 other shower room. mains water and electricity connection and proximity to the banks, shops and the beach.